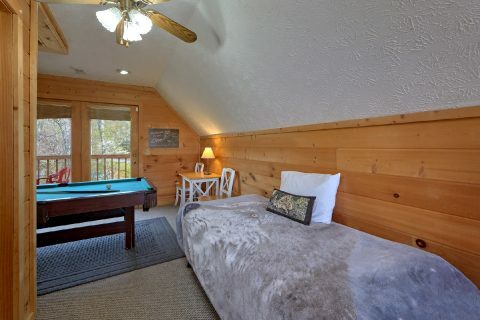 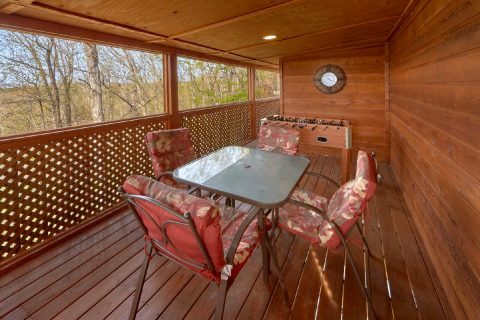 Escape to a cozy cabin that sleeps 7 with foosball table, pool table, fireplace and more at "A Wolf's Den!" 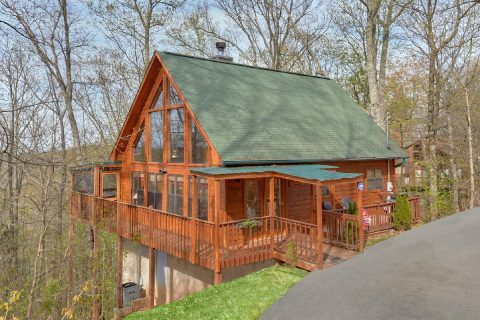 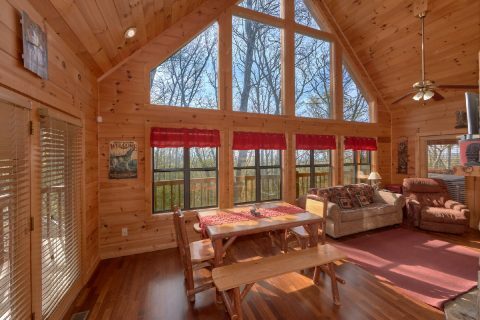 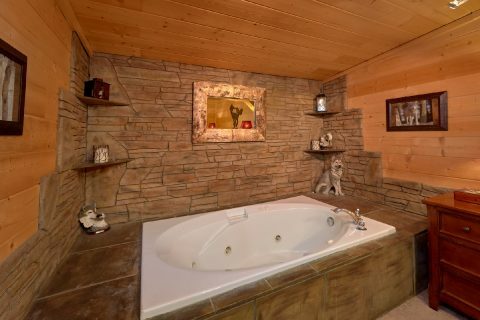 You'll enjoy a vacation to remember at this cabin home and a location that places you near all the fun and excitement the Smoky Mountains have to offer! 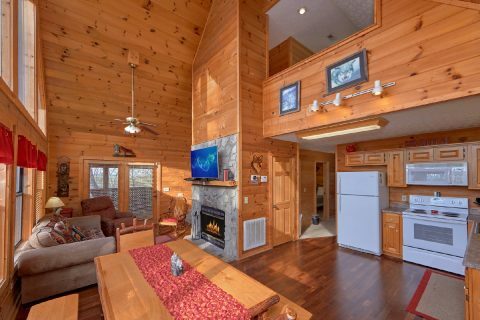 This 2-level, 2-bedroom cabin offers guests a chance to enjoy a relaxing mountain retreat with its cozy interior. 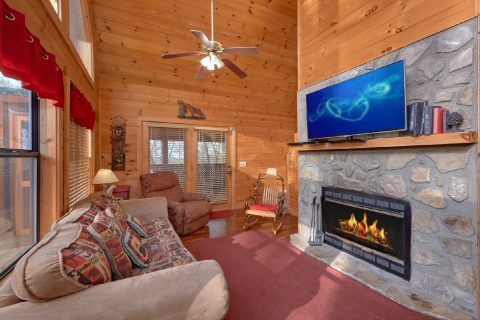 Relax by the warm glow of the wood-burning fireplace on a cold winter night for a movie night with friends. 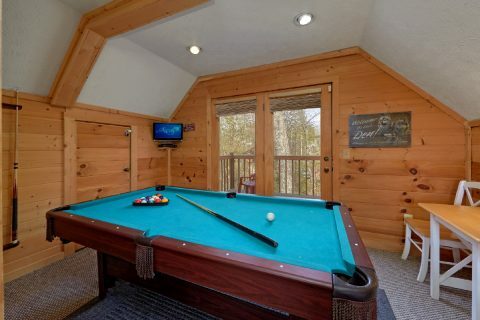 The foosball table and pool table are perfect for a cabin game night. 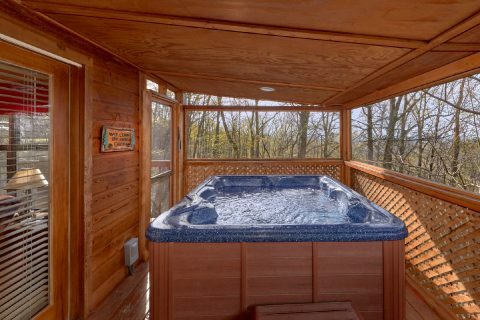 Outside, you can let your cares melt away in your hot tub. 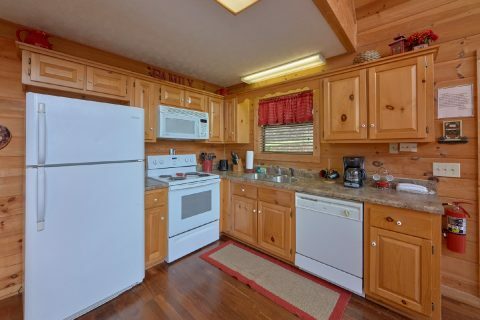 Watch your favorite shows on the cable TV or streaming on your WiFi internet. 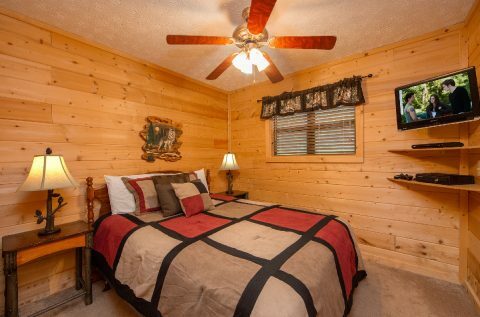 Your cabin offers enough space to sleep 7 in style and comfort with a king bed, queen bed, queen sleeper sofa, and a twin day bed. 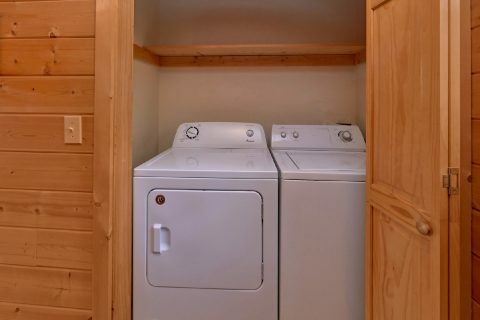 You'll also enjoy practical amenities, such as a washer and dryer and dishwasher. 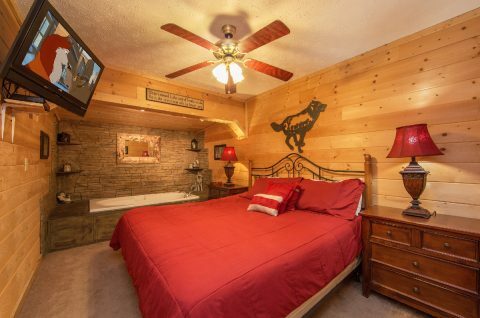 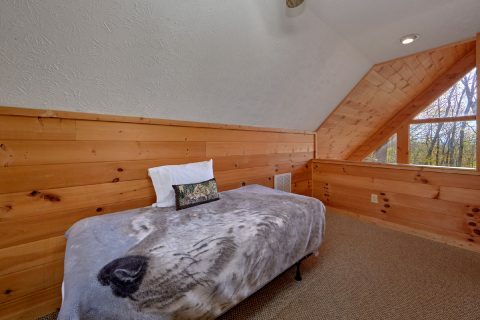 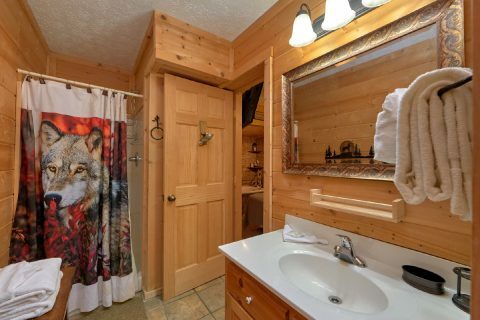 Book "A Wolf's Den" today and enjoy a 15% online booking discount on your nightly rate on this cabin that sleeps 7!